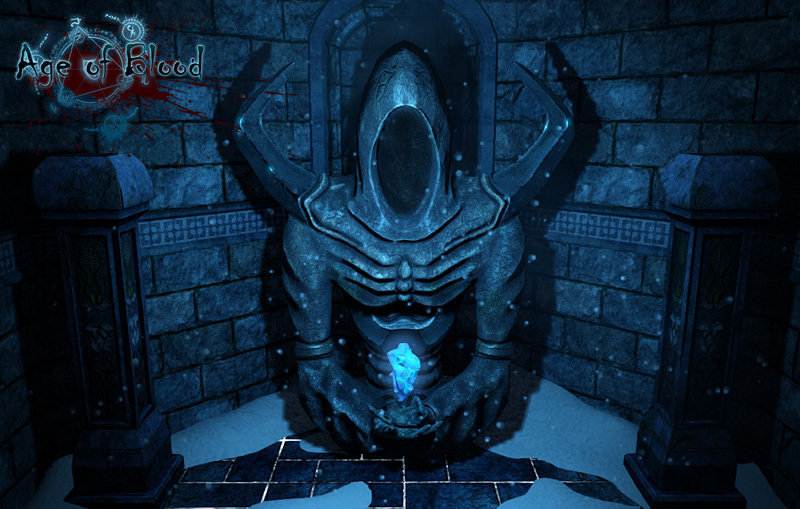 Age of Blood: The Scourge is a dark fantasy action game throwing you into an epic saga full of exploration and brutal combat in the depths of dark dungeons bathed in blood and drenched in traps. You’re free to choose your gameplay style, taking up the blade as melee or slinging powerful spells as a caster on your mission to destroy a technologically advanced and psychically enhanced menace not of this world. The Gods are on your side against the alien threat, and as you progress, you may choose to further specialize in a discipline path of either Necromancy, Demonology, or Angelology. Age of Blood is based on an existing set of rich lore written by John Waynick and Joseph Marin and is built using Unreal Engine 4. A woman raised in the lap of luxury in a civilized kingdom. She was born into the royal family of Triste, a nation known for their pure military might and powerful magic. Ariet was raised as a proper lady, refined and elegant. This holds true in all she does, even the drawing of a bow done in grace. The throne was thrust upon her when her mother's passed away under dubious circumstances. To the people of her nation, she is known as kind and merciful. In truth, Ariet is devious and scheming. She has studied darker and forbidden arts since she was a child, and her propensity for caring is equaled by a sadistic desire to see her enemies crumpled in agony. She has become a fearsome mage, personally leading her armies into the fray from the front-lines. Her knowledge of darker things allows her to see what lies beyond mortal comprehension, something she uses to her advantage when possible. Though she may ultimately be cruel and perhaps even conceited, she knows full-well the responsibilities of the crown. She holds the best interest of her people at heart, and would sacrifice her own life if it were to save but one of her subjects. For these reasons, when cities have been attacked and entire towns vanished with only ashes and whispers in their wake, she takes it upon herself to lead the charge in a unified army against the mythical Scourge. She knows not whether these creatures truly exist, but she will act upon even the slightest threat to her people with all at her disposal. A man raised in a brutal land of war and savagery. Cael comes from a nation in which resources are scarce, villages burn as the people fight for the scraps like carrion, and leadership is measured by how long you can keep your head on your shoulders. His parents were cut down before his eyes by raiders, leaving him and his young sister alone in the world. He was forced to take up the ways of the blade and the ways of survival. He raised himself and his sibling, every passing year another leap in skill and cunning, learning to sustain themselves on merchant scraps and what he could hunt with improvised weapons. Though mighty he grew, he stood no match against the Scourge. The Scourge are known, yes, but only as superstition. When Cael's home village was obliterated, he discovered why. The men left in chunks, and the women stolen away, including his sister. He was the sole survivor through luck or fate, and now he harbors a hatred for the Scourge that could never be forgotten. This hatred has edged him into joining the ranks of the armies unified in the invasion of Heaven's Fall island. 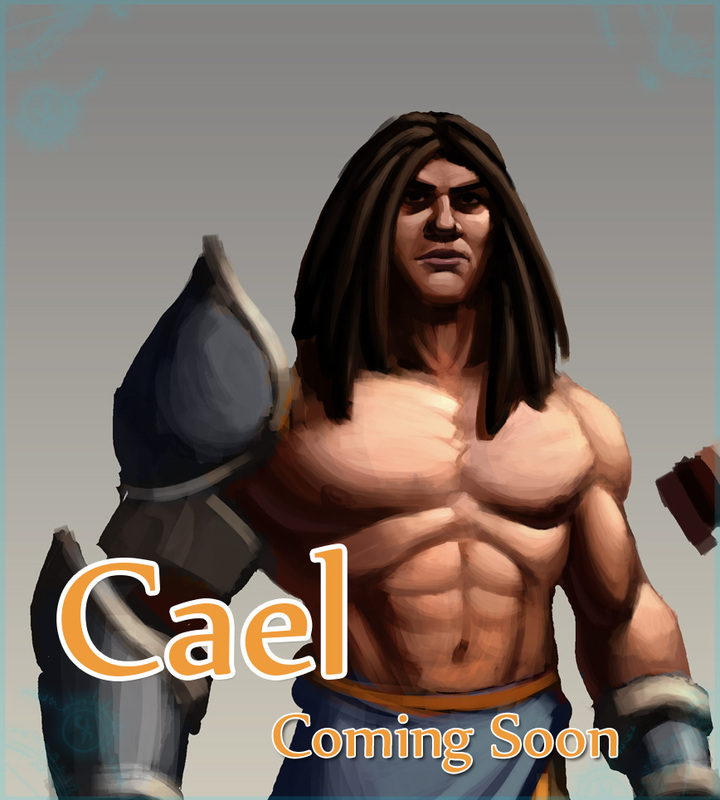 Cael has grown into a skilled and quick-witted, if not brash, warrior. His competency with bladed weapons only matched by his apathy toward danger and sarcastic tongue. As he heads into battle against the Scourge, he keeps his head cool, but his rage a burning fuel.